If you've ever wondered if cuckoos are real birds or just cuckoo-clock accessories, here's proof that they're real. 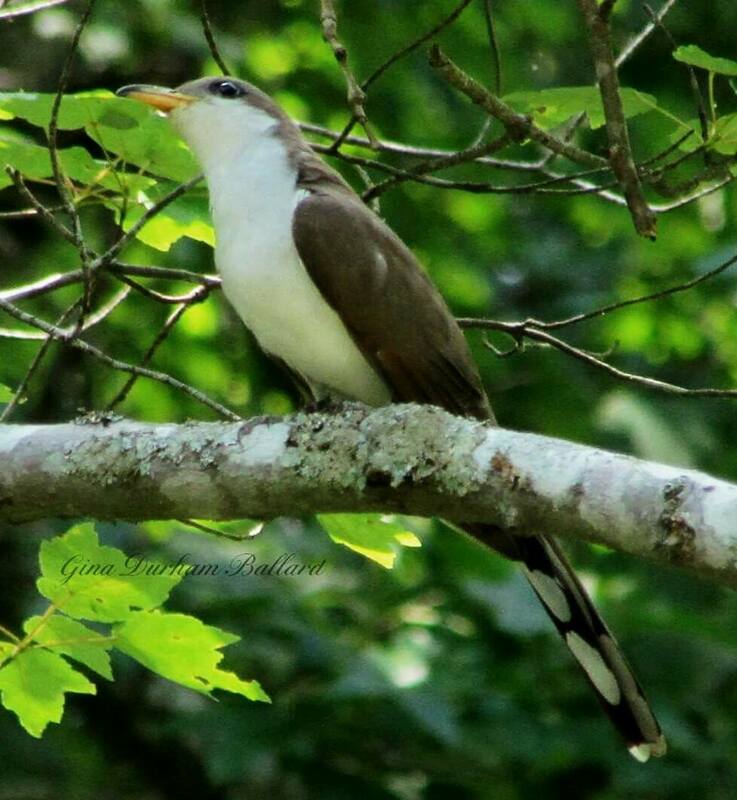 Melissa Patton took this photo in Alabama of a yellow-billed cuckoo, one of many beautiful and fascinating species in the cuckoo family. Like most cuckoos, the yellow-billed is long-tailed and prefers feeding on on insects. Indeed, it's one of the few birds willing to eat hairy caterpillars. A hungry yellow-billed can down 100 in one session. That appetite can help control infestations of tree-defoliating tent caterpillars—one more reason to be cuckoo about cuckoos.